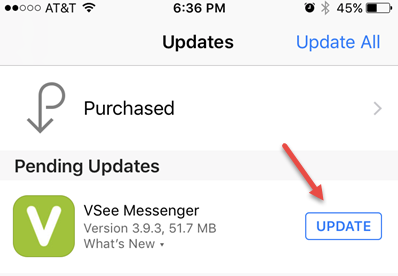 When a new version of our videoconferencing app is available on iPhones or iPads, it's a good idea to update the latest version. Here are instructions on how. 1. 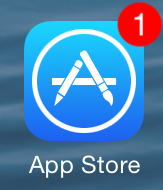 Tap on the "App Store" icon on your home screen. 2. 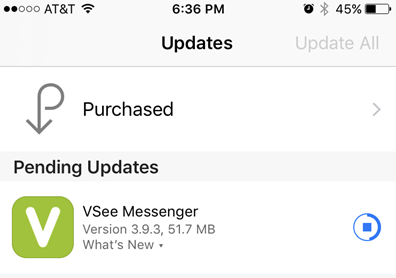 Tap on "Updates" in the lower right hand corner. This article was last reviewed by our Support team on September 18, 2017.